Just in time for the holidays, the makers of House of Tsang® Asian sauces and oils announced today the launch of a new line of Asian Mix’n Dip sauces. 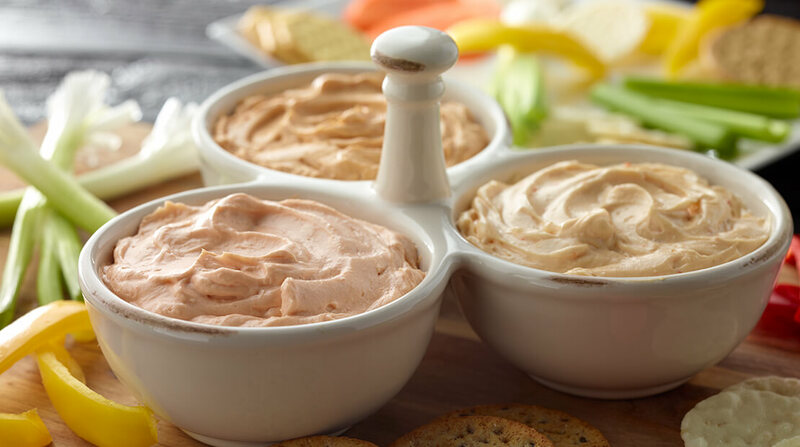 Available in three distinct flavors — Thai Style Peanut, Sweet Chili and Sweet & Sour — the House of Tsang® Asian Mix’n Dip sauces are designed to simply mix with cream cheese, sour cream or Greek-style yogurt to create a delicious, convenient and versatile Asian-inspired dip. The dips are the newest line of products to join the House of Tsang® product portfolio, which includes a variety of stir-fry sauces, dipping sauces and cooking oils, designed to make preparing Asian foods at home easy and delicious. To prepare the dips, simply mix the 4-ounce package with one cup (8 oz.) of softened cream cheese, sour cream or plain Greek yogurt, and enjoy. Found in the Asian sauce aisle, House of Tsang® Asian Mix’n Dips (MSRP $1.69-1.99) are available in select Wal-Mart stores nationwide. For more information on House of Tsang®products, including recipes, nutritional information and where to buy, visit www.houseoftsang.com or follow the brand on Facebook and Pinterest.